And just like that, my career as an English teacher in Italy has come to an end. What an unbelievably amazing experience it has been. Anyways, you get the idea. I’m obsessed with the place. 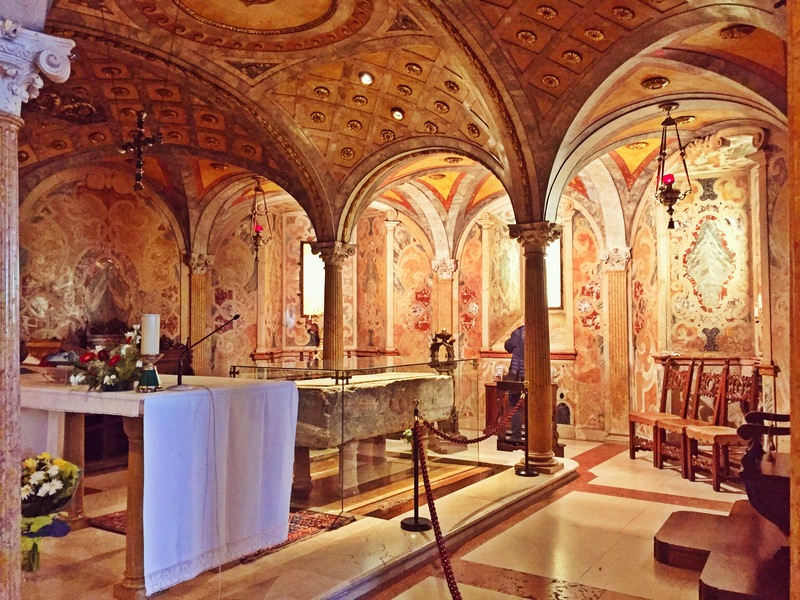 One of the things I valued most while living in Italy was the accessibility. Europe is well-connected in a way that makes American travel addicts envious. I traveled within or out of the country nearly every weekend thanks to budget airlines and high-speed trains. And let’s not forget – The late night motorbike rides! Most Italian guys are more than willing to take an American girl for a thrilling ride through Roma on the back of their bike or vespa. What a blast. I’m going to miss those a lot. … Oh Dio. All the tears. Poland hadn’t necessarily been on my must-see list, but when my friend Kat absolutely insisted that we go there from Germany, I didn’t hesitate to tag it onto our trip. The deal was that Kat’s best friend back in Chicago had a nanny from Poland named Waja. Waja really wanted Kat to visit her while she’s living abroad, so I was simply tagging along for the ride. Luckily for me, it was a holiday weekend, so I didn’t have work until Wednesday. Amazing potato pancakes with a side of hot tea & vodka. We took an overnight bus from Berlin to Krakow on Sunday night. Kat and I originally had seats next to each other, but Kat moved to an empty aisle while the bus was still loading, and out of nowhere we each ended up sitting next to cute brothers from Australia. Funny how things work out like that. The next morning, we arrived at the train station in Krakow and hung out at a cafe while we waited for a bus to Auschwitz. A classic tour involves visiting both the Auschwitz and Birkenau camps for a total of 4-6 hours, but all we had time for was a couple of hours in Auschwitz (and to be honest, that was more than enough for us). The weather didn’t help lighten the mood, as it was a gray and chilly day. The best word to describe the whole experience: chilling. We went back to Krakow and were met by Waja’s grandson named Mariusz. He took us on a night tour around the city and we walked through the beautiful square where there was yet another Christmas market. We then met up with a few of his friends who are in a band. We went to a restaurant in the square where they were playing traditional Polish music. The boys were really sweet and began to serenade Kat and me with English songs. Mariusz then drove us out of the city and down south to Waja’s village – Kamienica. She welcomed us with a super jolly demeanor and a warm Polish dinner. The next morning, Waja showed us around her village. Afterwards, Mariusz took Kat and me into the picturesque highlands as well as a nearby town called Szczawnica. We stopped at a cafe and had some of the best hot chocolate in the world. I had only had a comparable cup in France. It was the kind of hot chocolate that’s super thick and will solidfy if you let it sit for a few minutes. It was as if the barista had melted a chocolate bar right into the cup – sooo good. We had an early dinner with Waja and her family that night, then Mariusz drove us into Krakow to catch our flight back to Rome. It was an enjoyable and adventurous long weekend that I’ll never forget. Before coming to Europe, one of my goals for the winter season was to visit the Christmas markets in Germany. Luckily, I discovered that one of my friends in Rome felt the same. Since we live in a Catholic country, we get vacation time for several religious holidays throughout the year. One of these is the Feast of the Immaculate Conception, in which most workplaces are closed on December 8th and often the 7th as well. For me, this meant that I had no school on Monday and Tuesday, so we decided to take advantage of the long weekend with a trip to Germany and Poland. Neither of us had ever been to Germany before, so we decided to go straight to the capital. dropped off my stuff and hit the streets to explore. Craving food from home, I grabbed a subpar falafel sandwich for dinner. The highlight was that I struck up conversation with a German guy whose sister lives in Cincinnati, Ohio, and he gave me recommendations for spots around the city. I dropped by a couple Christmas markets before turning in at the hostel for a late-night hangout/social in the lobby. My friend Kat arrived to join me on Saturday, and we relocated to another hostel closer to the center. We hit up the Christmas markets together, toured around the city a bit, then hung out with a crazy group German guys who scooped us up on the street. Yeah… that was interesting. Sunday was a day full of exploring: Checkpoint Charlie, Alexanderplatz, the Berlin Wall, the East Side Gallery… etc. If we learned anything about the Germans, it’s that they love to eat meat. Since Kat and I don’t exactly feel the same, we chowed down on soup and steamed kale at the markets. Yes, I know what you’re thinking, but they were both exotic and delicious. Before I came to Rome, one of my mom’s best friends/my hairdresser/my eyebrow stylist/my everything/etc. told me that if I didn’t go to a certain city east of Rome, I would have let her down. So, when one of my friends asked if anyone wanted to go on a day trip to Tivoli, I jumped at the opportunity. A small group of us took the 1.5 hr journey to the hilltop city via the metro and a local bus. On the bus, I happened to strike up conversation with a young Swedish couple who also were of Middle Eastern background. They ended up following our group as we journeyed to the main sites together. The first spot we hit was Villa Gregoriana, which can be compared to a large metropark (a metropark with an ancient waterfall, that is). After living in the big city for the past couple of months, it was nice to adventure through some nature. The second site we went to was Villa d’Este, whose main features included lavish gardens, monumental fountains, and an elaborate residence, all from the Renaissance era. I’ve got a big family. No, big is an understatement. I’ve got a big, huge, enormous, can’t-keep-track-of-who-I’m-related-to family. I don’t have cousins for days – I have them for weeks, months, and years. Meeting someone then finding out we’re related (or that they know someone I’m related to) is a regular occurrence. I call my parents’ 1st through 10th cousins my aunts and uncles. I’m best friends with my 7th cousins like it ain’t no thang. That all being said, it didn’t surprise me when my mom told me she has cousins in a random city in Italy. What do you do when your Mom tells you you’ve got cousins in a random city in Italy? You hop on a train and go visit them. 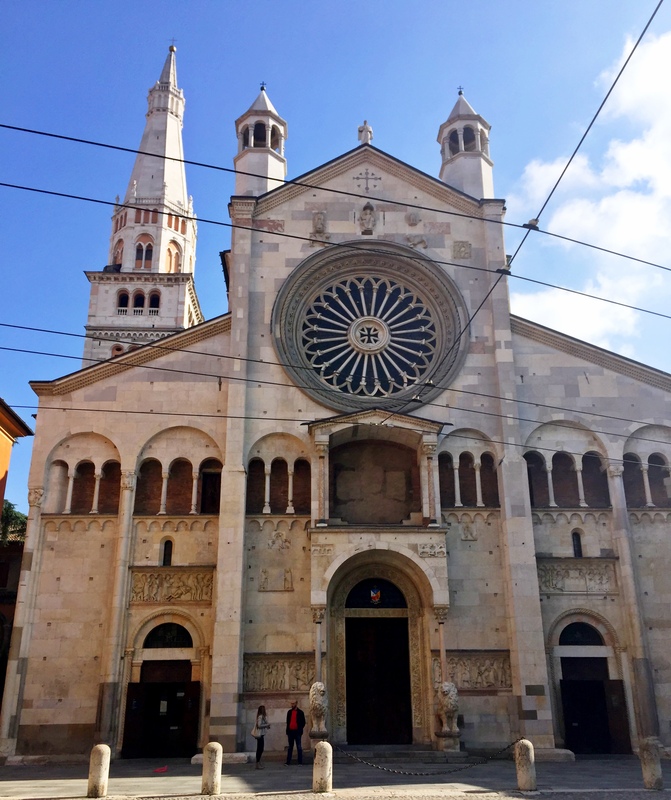 My weekend trip in Modena began on a delicious note – a foreshadowing of the good meals ahead. My aunt (again, I use the term sparingly) made a delicious dinner of fatoosh (Arabic-style salad) and some of the best pasta pescatore (seafood with linguine) I’ve ever had. Although it was the first time we’d met, we hit it off and had a great weekend getting to know each other. 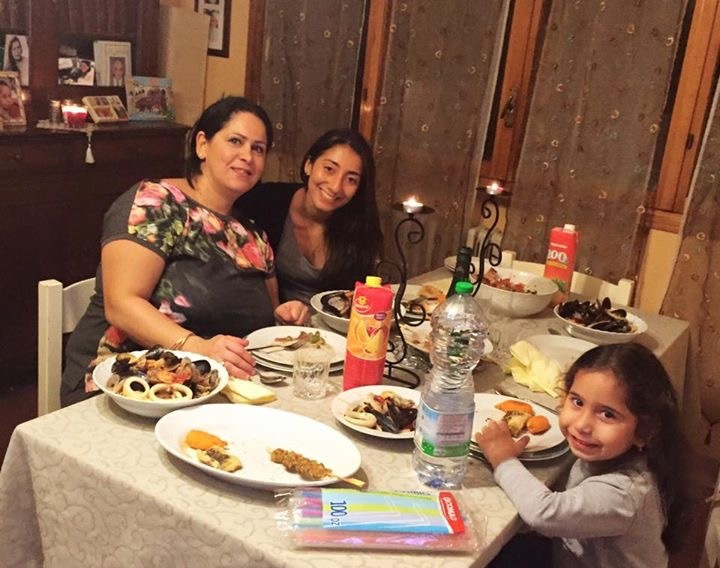 Needless to say, it felt so nice to eat around a table amongst family here in Italy. Saturday was a day full of exploring, and our first stop was the local gelateria, “Slurp.” Now, before I continue, I must put out a disclaimer: I absolutely love Rome, but by no means does it have the best food. Italians know that the best food – the stuff that’ll really blow your mind – is to be found in other parts of Italy (namely the south). That being said, I had the best gelato I’ve ever had at that gelateria in Modena. My aunt feels the same, as she’s had gelato in various cities throughout the country, and nothing compares to the stuff she’s had at Slurp. We toured many things within the city center: the Duomo (cathedral), Torre Civica, Piazza Grande, and the outdoor markets. 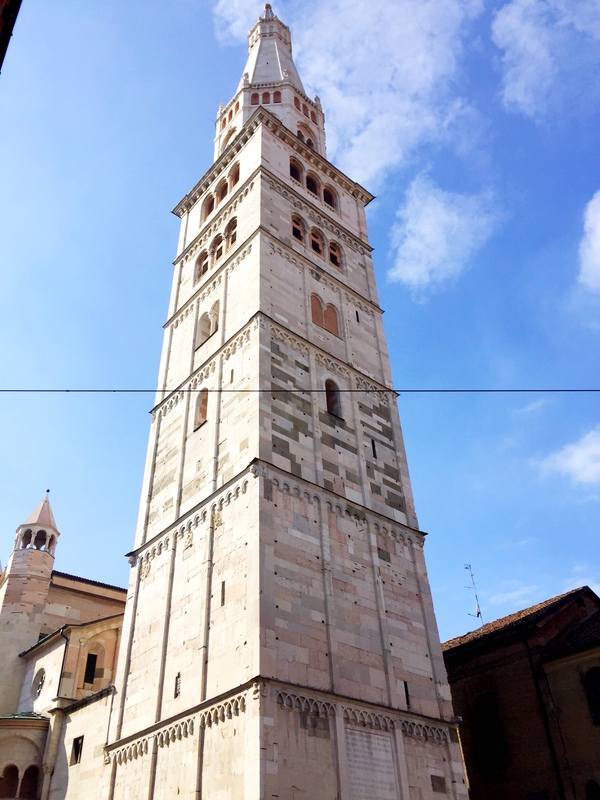 Highlights included climbing up the steps of the Torre della Ghirlandina (bell tower) and seeing the Italian Military Academy… the first military institution in the world. 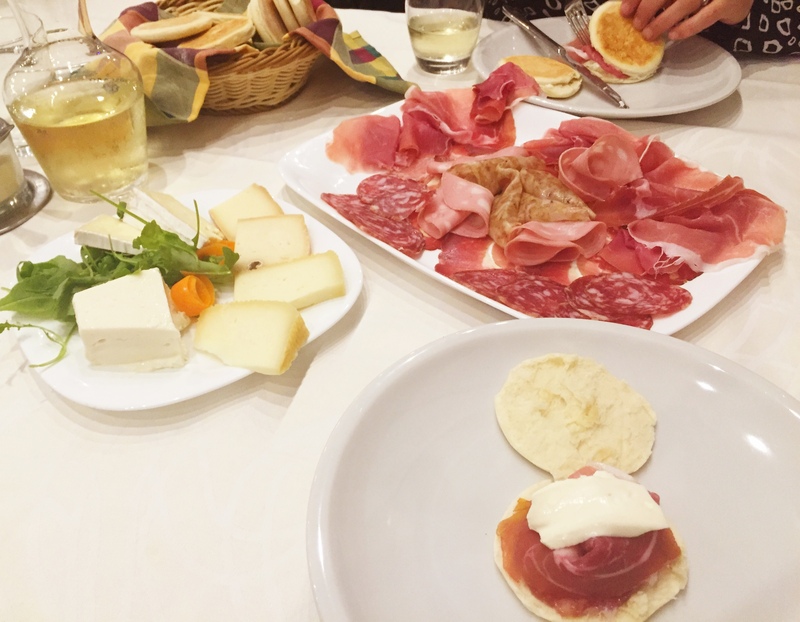 On Saturday night, we went out to dinner at a restaurant featuring classic Modenese fare: tigelle and crescentine with a variety of Italian cold cuts and cheeses. The spread was paired with a classic Italian white wine. The whole spread was sooo good. On Sunday, we had another great homemade meal together. This time, it was an Austrian meal, since my mom’s cousin is originally from Vienna: goulash with polenta. I don’t think I’ve had polenta that tasty since I was in Spain. We made one last pit stop at the gelateria before she dropped me off at the train station and I was on my way back to Rome. All in all, a great weekend trip – hopefully the first of many! 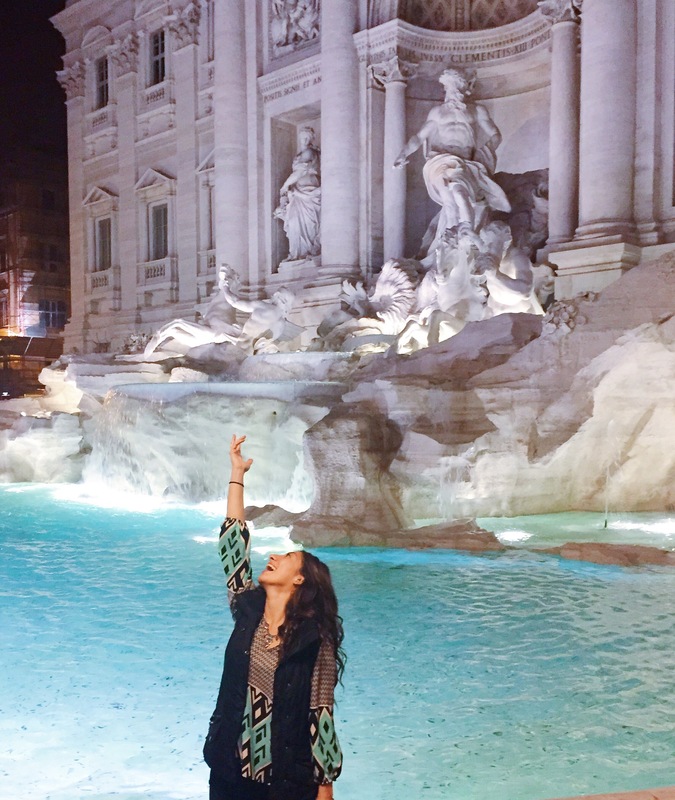 I earnestly searched for an apartment in Rome for 3 weeks – and moved into my apartment on the day that marked exactly 1 month of being here. I had focused most of my efforts in a certain neighborhood, but nothing was working out. I used 8 different websites, called countless phone numbers, roamed the streets looking for signs, poured over Italian newspapers, visited nearly 15 apartments, e-mailed back and forth with scammers from Russia… nothing. I once hiked to an apartment in the hills to meet the girls who lived there but instead was met by the creepy landlord… and thought I’d for sure end up on a 20/20 special. I even spent a rainy night locked in a tiny room with a mafia landlord for nearly 2 hours while we each made offers the other couldn’t refuse… or so we thought. I invested in one of the websites by buying a subscription, and I exploited it heavily. On the last day of the subscription, I came across an apartment on the other side of town. The pictures looked alright, it was close to a metro, whatever. I messaged anybody and everybody. I exchanged numbers with the girl listing it, then boom – my subscription expired. The next day, I went across town to check it out and was greeted by a sweet Italian girl who ended up making espresso for me and we chatted for awhile. The apartment was really freaking nice… and brand spankin’ new. I had never expected to find such a new, high-quality apartment in Europe. After leaving, I set to the streets to check out the area (as I did with every apartment I visited). I didn’t know it then – but this apartment is in one of the best areas of the city (if not the best) – I cannot reiterate this enough. To say I got lucky is an understatement – I truly believe God was with me through all the crazy ups and downs and brought me to this apartment which I am wholeheartedly grateful for. 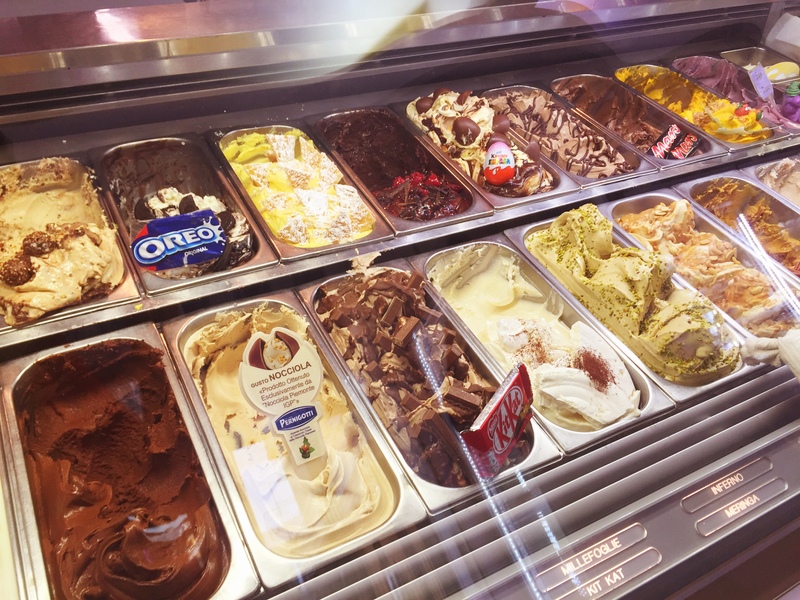 Let me give you some background on the area: When I visited my friend Erika in Rome back in 2012, she took me to her favorite gelateria right outside of the Vatican called Old Bridge. She also took me to her favorite bakery, a local underground spot called La Dolce Maniera that’s open 24/7 where you can buy delicious nutella-filled doughnuts for only 35 cents. I’ve been dreaming about both of these places for the past 3 years. This apartment – my new apartment – is located in the middle of both. 3 minutes’ walk to Old Bridge, 5 minutes to La Dolce Maniera, and 3 minutes to the metro. This is my dream neighborhood that I didn’t even know I wanted. 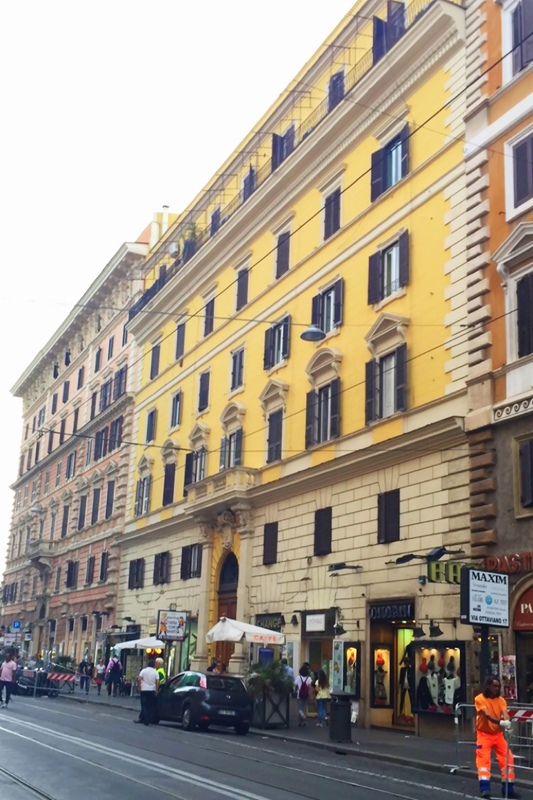 Not only that, I live 5 minutes’ walk from the Vatican – like I can see the walls of Vatican City from my apartment – and you can find some of the best shopping in the city 2 blocks around the corner. Feelin’ blessed, not only because of the apartment/neighborhood, but because Pope Francis is my neighbor. One more thing – did I mention there’s an international store 1 block away? Now I can make all the hummus I want without fear of lack of tahini. Home sweet home in the heart of Rome. My sunshine yellow apartment in Ottaviano. The shelves: Now, what you’ve heard about the pasta consumption over here is true – most Italians eat it every single day… and the grocery stores reflect that. Aisles upon aisles are stocked with nearly every type of pasta imaginable. Pasta in hundreds of shapes and sizes that I’ve never seen before, or could even dream up. The deli: Ah, yes. The infamous Italian deli. Stocked with a plethora of specialty meats and cheeses and strange seafood concoctions that look like tentacle salads. Although I haven’t purchased any cold cuts yet, I can tell you the choices are aplenty. The sweets: Chocolate on chocolate with chocolate. Boy, do these people love their Kinder. Or actually, does Kinder love them? Either way, there’s a ton of it over here, but not the same kinds that you can buy in other European countries such as the UK or Germany (to my dismay). There are lots of other brands, too (Milka, Nuovi, Lindt, etc.) but Kinder’s just in your face. Also, NUTELLA. Did you really think I wouldn’t mention Nutella? It’s only one of my favorite foods on earth. Huge, ginormous, bigger than my face jars of Nutella can be found in every single grocery store. This is the birthplace of that ooey-gooey delicious chocolate crack, after all. The produce: Alright, there’s no way of getting around this. The produce sections in Italy make this (primarily) vegan girl want to cry. Ask anyone who isn’t from Italy, and they’ll agree – you won’t find many fresh fruits & veggies. TMI, but I’ve already gotten sick. Side note: Stumbled upon a farmer’s market last week with fresh (well, at least better than the grocery stores) fruits and veggies. Best believe I’ll be trekking it over there as a regular, bright red reusable Lululemon bag and all. Purchasing: The first thing the cashier asks you is how many bags you need. Unless I bring my own, I tend to shyly use my fingers to show a number – unsure if I’m really going to fit those bananas with those apples with those cans with those eggs with everything else in the number of bags I said I would. Moreover, everyone bags their own goods, so as soon as you’ve loaded the conveyer belt, get yourself to the other side real quick – the cashier’s already throwing your stuff down the chute. I could go on about the little quirks and products at the grocery stores in Italy, but I’ll save that for a future post. Make sure to follow/subscribe to see what’s next! I was in Chicago riding the train to work in the spring, the morning was the same as any other. I was going through my morning routine, reading the newspaper and checking my social media apps. 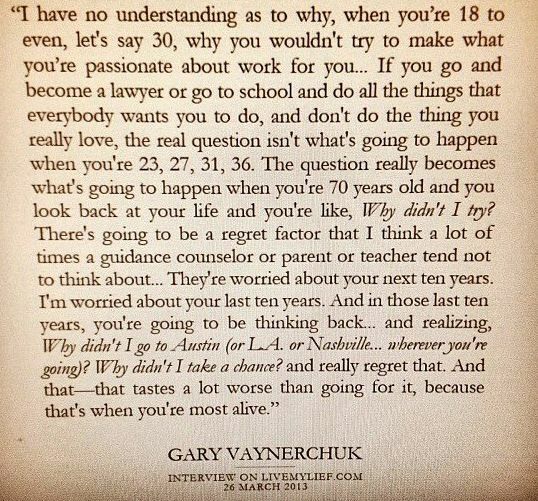 As I scrolled through my Instagram feed, a friend’s lengthy post caught my eye. Now, I have to admit, quotes on Instagram usually make my eyes roll. However, something about this post hit me like a lightning bolt – it was that life-changing sort of moment that you can’t quite explain. Needless to say, this quote doesn’t strike a note with everyone… but for some reason it hit me like the train that I was riding in. I'm Alyssa, an American firecracker born on the 4th of July living in Italy for the year. Welcome to my adventures around the world!